Since 1946, Fontana Foundry has been Southern California’s premier designer and manufacture of top quality aluminum castings. We bring together three generations of experience, expertise and state of the art technology to align ourselves with our customers as partners to assist them in achieving their goals and objectives. 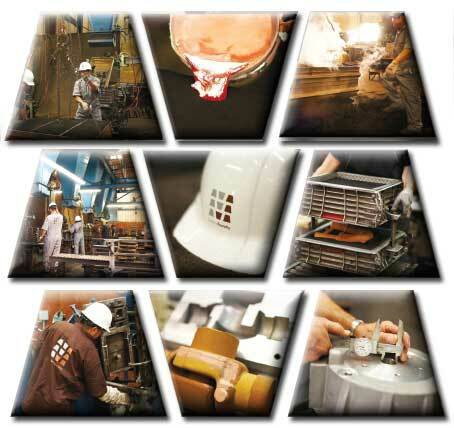 For more than sixty years, our family owned and operated foundry has produced sand and permanent mold castings for a diverse and comprehensive range of industries across the country. We support our customers by providing superior products and timely delivery along with exceptional value all of which help them gain a competitive advantage in their markets. Some of the alloys we pour include 356, A356, A356SR, A328/808 and 713. Whether you need a casting weighing a couple of ounces or a few hundred pounds, we will meet your requirements.